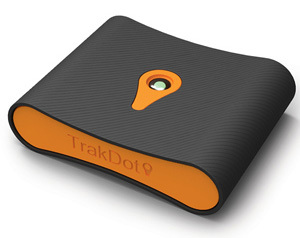 The Trakdot Luggage Tracker has received the silver award at the 2014 Edison Awards. We are not surprised, given the simplicity and usefullness of the Trakdot! The Trakdot allows you to track your luggage while traveling and confirm when and where it has landed - simply place the Trakdot into your luggage before you check it, and upon landing you’ll receive a text message stating the location of your checked bag. Trakdot knows the longitude and latitude of every airport and sends a personalized message with the name of the airport (e.g. “Mike’s Luggage landed at Chicago O'hare”), and the signal meter in the free app for Android and iOS alerts you as you get closer and closer to your bag. San Francisco – May 7, 2014 – GlobaTrac, LLC , an innovator in low-cost tracking solutions, proudly announces that the Trakdot has received the silver award in the renowned 2014 Edison Awards in the category of Security and Safety. Launched at the Consumer Electronics Show last year, the palm-sized Trakdot Luggage device was an immediate sensation. Trakdot helps travelers and airlines quickly resolve the problem of misdirected luggage, particularly in situations where late check-ins may cause luggage to miss a flight. The Trakdot luggage tracking device can be placed in any checked bag and will alert the user by reporting airport location in real time to any cellular telephone via text or e-mail. After traveling in "airplane mode" in flight, upon landing, the luggage locator system automatically transmits airport-specific information on the whereabouts of checked baggage. Even if the Trakdot-protected bag does not reach the desired destination, passengers will still have the assurance of knowing the location of the luggage. The Trakdot is available for $89.99 MSRP (just $79.99 at 3Gstore) which includes the activation fee and 1st year annual service fee.